You have been collecting tshirts for as long as you can remember. You have them from the hospital where you were born, grade school and high school. The sports teams or clubs you were in during high school. You get to college and you have concert and sorority shirts. What do you do? The obvious answer is t-shirt quilt. There are lots of t-shirt quilt makers out there, but with the hundreds of results how to you select the quilt maker that won't deliver a complete mess of your tshirts. How do you select a t-shirt quilt maker? The backing material is the fabric that is seen on the bottom side of a quilt. 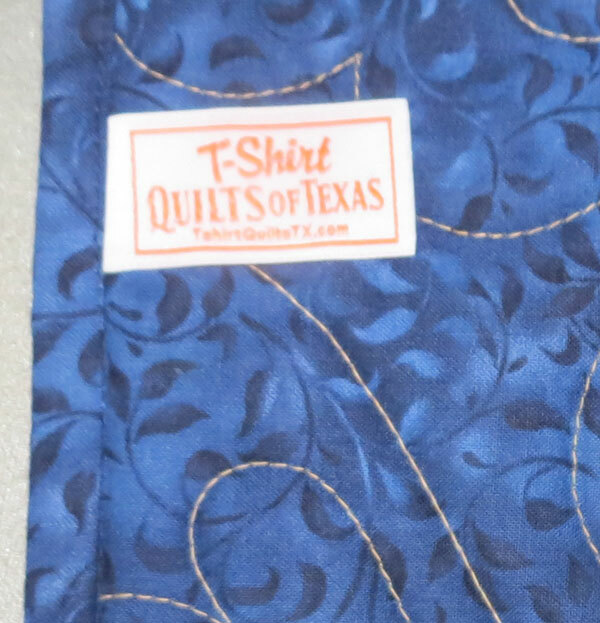 At T-Shirt Quilts of Texas we have over 800 bolts of fabric in stock to select that perfect fabric for your quilt. We don't use solid color fabrics as they have a horrible tendency to show lint, pet hair and just everyday use. We use fabrics commonly referred to as 'tone-on-tone'. These are fabrics that add a visual 'texture' and 'depth' to a quilt without adding the more cluttered look of a multi-color print or the FLAT color of a solid fabric. The professional quilting shows up beautifully on both the front and the back of the quilt. Well, one of the important elements of a GOOD QUALITY t-shirt quilt is the material used for the backside of the quilt. PLEASE do your research before selecting a quilter. The old adage about getting what you pay for is true. Listed below are some of the options you will see offered. Sheets - Oh my gosh. RUN. Remember those cheap sheets you bought that have those little nubbies on them? That is because of the low thread count of the sheets. Just recently went to Wally-World to look for sheets for the camper. Did NOT know that they made sheets with 120 thread count! YIKES!. If you ARE going to use a sheet on the back, make sure it is 300 thread count or higher. The higher the count, the better quality the sheet. Flannel - There are several types of flannel. CHEAP and Not So Cheap. The stuff you can get from the box stores (like JoAnne's and Wally World) are a cheaper quality cotton. May or may not be a cotton/polyester blend. Look for QUILT SHOP QUALITY 100% Cotton. Solid Color Cotton - Again, there is CHEAP, and there are higher quality cottons. You'll see descriptions like "Kona cotton". What you need to ask about is who the distributor for the solid color cotton comes from. If it comes from MODA, Kaufman and a few other distributors, you should be OK. The stuff from Joanns is labeled KONA, but is a very low thread count, and is not a good quality fabric (but is cheap). Tone on Tone Cottons - There are some cheap versions, but look for 'quilt shop quality' fabrics. Where do they get their fabrics from. Do they purchase the fabric as a quilt is ordered? Do they have a fabric distributor? How many bolts of fabric do they have in stock? 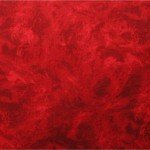 The term tone on tone refers to a printed fabric that is made by combining different shades and tones of the same color. Tone on tone fabrics often appear to be solid when viewed from a distance, but their printed motifs become recognizable on closer inspection. Tone on tone fabrics add subtle, visual texture to a quilt without the busyness of a multi-color print. Personally, tone-on tone fabrics do not appear as 'flat' as solids. Black is the exception, we do use a deep, dark saturated black as an accent border. The binding is the fabric that is sewn around the outside of a T-shirt quilt. You see about ½" of the binding from the top, side and back of a quilt. Bindings are used to enclose the raw edges of the 3 layers of the quilt (quilt top, batting and backing materials). Generally, the binding fabric used is the same fabric as used on the back and/or border of the quilt. Note: We do not use white for binding because it is difficult to keep clean while we are working with it and it will show all the dirt as you use it. White will quickly become dirty or grungy looking.